With steady increases year over year, e-commerce has quickly become a must have for any business selling products directly to consumers. 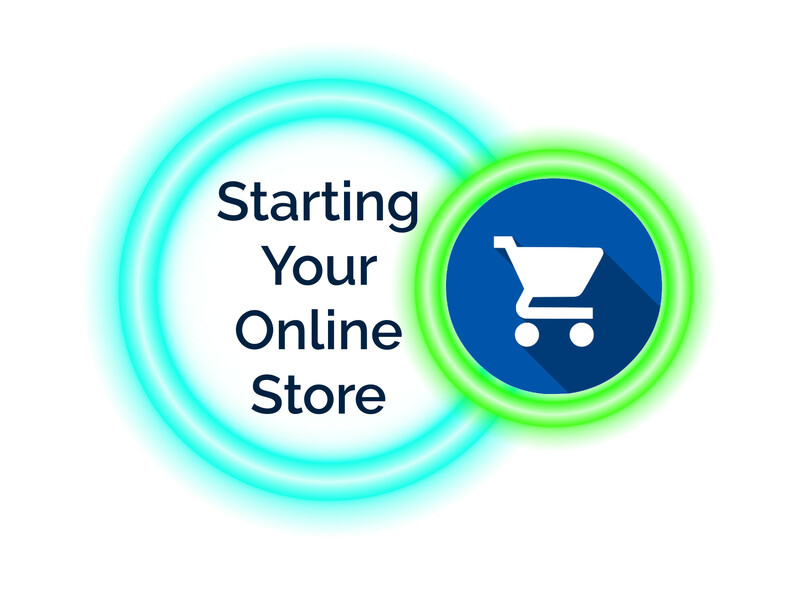 Having an online store allows your customers to shop when and where it’s convenient for them. Who are you selling to? How old are they? Where do they live? Where do they spend time their time online? The better you understand your customers, the better you can target your store, posts, product copy, shares, etc. to attract them. If you’re not sure who your target customer is, it’s helpful to survey actual customers to learn similarities about the people who buy from your store. What are you selling? Why would a customer need your product or service? What could we do to improve our products/product line? To effectively sell online, you must clearly express the value of your product or service. You must convince your customers that your store and products will deliver on what’s been promised. Individual product pages give you a chance to add in lots of supplemental information that might be of interest for your customer. Do you have a product manual or technical specifications? Is this product compatible with certain models? Information like this can help your customers ensure they are buying the correct product. Online stores must have a system in place to regularly collect feedback through customer surveys and product reviews. Your online store may be able to automate these feedback channels, or integrate with a service, like MailChimp, which does. How long does it take to ship? What time is phone support available? 14% of online shopping happens between 9pm and 2am1; what happens if they have a problem ordering? It’s important to be clear on your website about what customers can expect if they try to call off hours or send a message through your website. Where do you ship to? What service do you use for shipping? Is shipping free or free for certain orders? Do you charge a handling fee? How do you calculate it? Do you offer returns? Who pays for returns? How long do customers have to complete a return? Consumers look for free shipping2 and free returns3 to help choose where they buy from online. Online stores like Zappos are well-known for their 365-day return policy4, which provides their customers peace-of-mind buying shoes online. Which products are taxed? How much tax are you charging? What legal concerns are there for customers outside of your county/state/country? Tax rates vary by state, and you want to make sure you’re charging the correct amount of tax for your products. There may be different tax rates based on the type of product you’re selling, and you may be collecting different amounts depending on where you and your customer are located. If you sell outside the United States, you may also be required to meet any legal standards of your customer’s countries. We are not lawyers, and this is not legal advice. Please consult a lawyer for legal requirements in the states and countries where you plan to do business. You should consult a lawyer on any taxes you’ll need to collect, licenses you must hold or any other regulations. For example, the European Union just passed the GDPR – the General Data Protection Regulation, which protects the data of EU residents. The deadline for compliance is May 25, 2018, so make sure if you have customers in the EU that you’ve contacted a lawyer to get prepared. If you’re found non-compliant, the fine could be as high as ‘up to €20 million, or 4% of the worldwide annual revenue of the prior financial year’5. There is no shortage of ecommerce platforms available for hosting an online store. We recommend using WooCommerce, which is available as a free plugin for WordPress websites. WooCommerce works with PayPal, Stripe and Square for payments and allows for real-time USPS shipping calculations when you connect WordPress to Jetpack. With additional WordPress plugins such as MailChimp and Google Analytics, you can build powerful reporting and customer retention campaigns to keep your customers coming back. Even with declines in brick and mortar sales, ecommerce sales continue to increase. Consumers have gone online to do their shopping. If your business sells directly to consumers, an online store is a must-have. Think about your customer and how to design a better user experience for your online shoppers. Offering free shipping and returns helps extend exceptional customer service as your business continues to grow and reach new customers online. If you’d like to learn more about starting your online store, schedule your free consultation today.